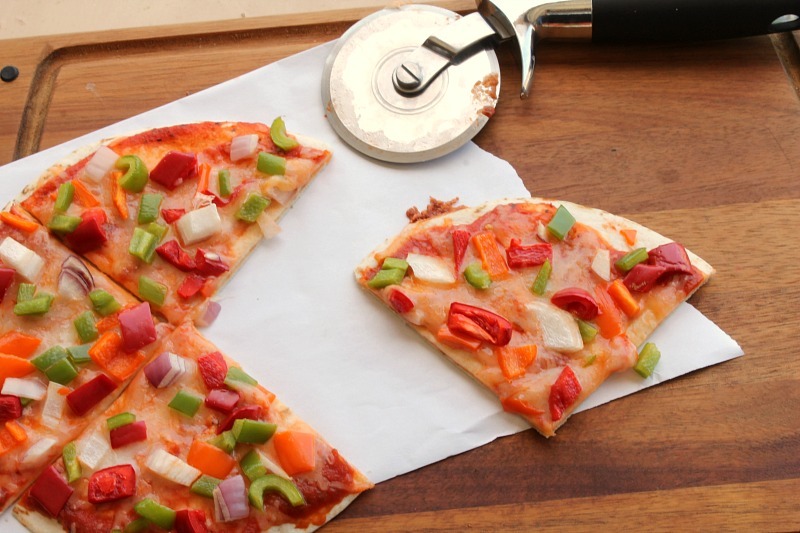 It’s time to get crazy with your next family pizza night with these tortilla ‘crusts.’ It’s almost like a quesadilla crust with 2 tortillas with cheese inside, toasted together and then topped with pizza toppings. These are crazy delicious and since they don’t call for a lot of shredded cheese, it’s a meal I can easily make for my dairy-free kids using their dairy-free cheese too. 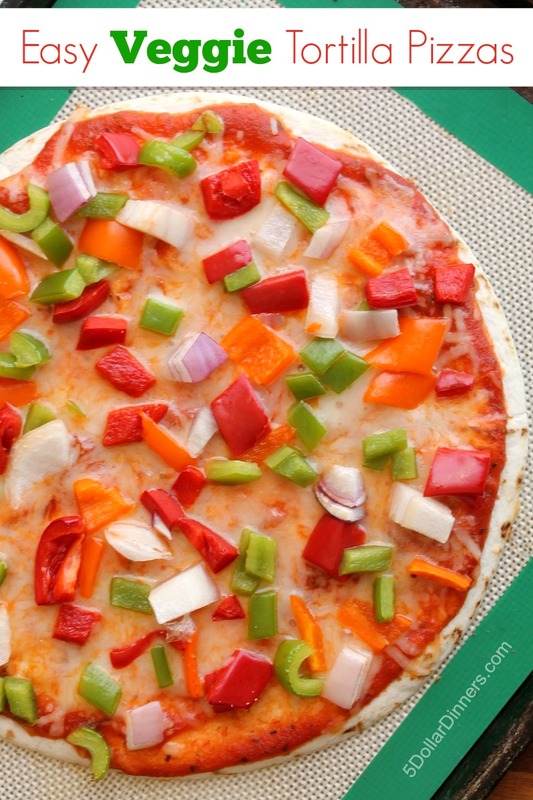 Let me know how you like these tortilla-pizzas when you have them at your next pizza night! Heat oven to 350 degrees. Line pans with parchment paper or non-stick baking mat. Place four tortillas on baking pan. Sprinkle cheddar cheese evenly over the top of the tortillas using all the cheese amongst the four. Top with another tortilla over the cheese. Bake at 350 degrees for about 4 minutes until the cheese is melted. Spoon pizza sauce over the top tortillas in each pair. Then sprinkle with cheese, bell peppers, and onions. Bake at 350 degrees for about 4 – 6 minutes until the cheese is melted. This sounds GOOD ! Maybe try making on the grill to avoid heating the house? I am wondering if anyone has tried Flat Out Flatbread and if that would work for this. And how does Flat Out taste? I see they make a high protein one and different flavors – even Italian.